Home » Dental Surgery India » Dental implants India – Are you ready for the Treatment? Dental implants India – Are you ready for the Treatment? In a Dental Implant procedure, diseased tooth roots are replaced with metal, screw-like posts. Also, missing or damaged tooth/teeth are placed with artificial teeth that appear and function quite similar to real ones. A Dental implant surgery can be a very welcome alternative than dentures or bridgework, which do not fit properly. Further, the patient is saved from issues like gum problems, tooth decay, etc. While preparing, there are some evaluation tests that are suggested. This includes a thorough Dental exam that is done through Dental X-rays and models of your mouth and teeth are made. Then depending on the patient’s needs, a tailor-made surgical plan is prepared. This whole planning is done by a team of Dental experts, which include a medical professional specializing in the diseases of the mouth, an Oral and Maxillofacial surgeon, a Periodontist who specializes in the structures of the teeth and a Dentist who is expert in the restoration of the dentures, bridges, and crowns. The patient must inform if he/she is taking any medication for any other health condition, has any Heart condition, or any Orthopaedic Implant for which the doctor might provide medication to prevent any infection. Also, depending on the type of anesthesia that the patient will be given, he/she is advised aptly about eating or drinking before the procedure. During a Dental Implant surgery, the diseased tooth/teeth are/are removed, and the jawbone is prepared for the procedure. In case, the patient’s jawbone is not sturdy enough, then a bone grafting might be needed. After the jawbone has healed and is ready, then the implant metal post is positioned in the jawbone. After this, a healing period of a couple of months is given, after which the extension of the implant is fitted. Once the soft tissue has healed, the Dentist makes molds of the teeth and jawbone and the final tooth/teeth are/are placed. For these issues, apt medications are prescribed, which need to be taken dedicatedly. Also, the patient needs to be on a liquid diet until the surgical site heals completely. Generally, a Dental implant recovery is of about 4-6 months but it all depends on whether it is a single implant or multiple implants. Mr. Chang from Taiwan had a wonderful experience while he visited India to get a full mouth Dental Implant in India. The healthcare offerings that India offers to the whole world is at par with the global standards. The hospitals and the healthcare specialists are setting new benchmarks regularly. There is the provision of world-class treatment for patients belonging to any and every social and economic levels. 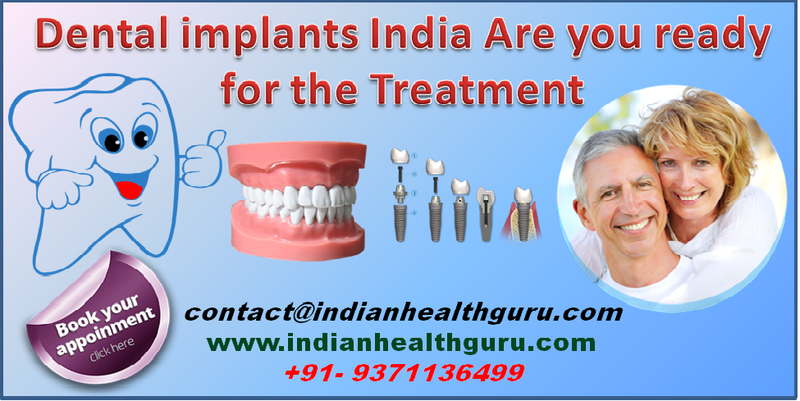 More specifically, the patients, who are coming here for Dental Implants India are surprised to see the outstanding standards of the best Dental Implant Clinics and Hospitals in India and the cost-effectiveness as well. For several years now, we, at Indian health Guru Consultants offer complete assistance to the international patients and channelize them towards the right direction so that they can avail these above-mentioned facilities effortlessly. Additionally, we have many other services to make their medical tours totally hassle-free.